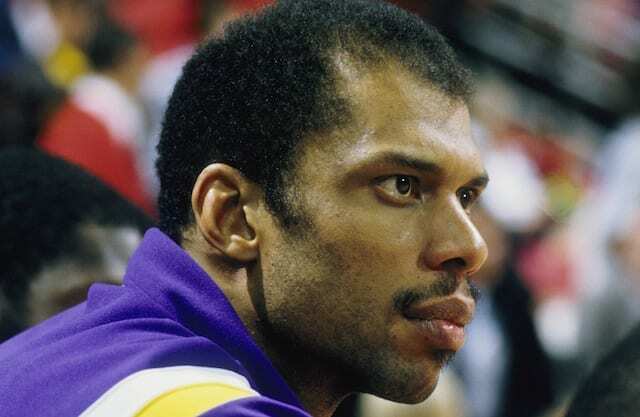 Kareem Abdul-Jabbar is one of the greatest players in the history of the NBA yet he doesn’t get talked about nearly enough in those conversations. Regardless, Kareem remains far and away the greatest scorer of all-time and his exploits stretched even into the latter stages of his career. No longer the athlete he was in his prime, Kareem relied on his number of post moves, particularly the sky hook, to get baskets over anyone who tried to guard him. On Feb. 5, 1985, the Houston Rockets had a pair of Hall-of-Famers more than a decade younger than him, and neither stood a chance. Kareem led the Lakers with 40 points and eight rebounds in a 113-104 victory over the Rockets. 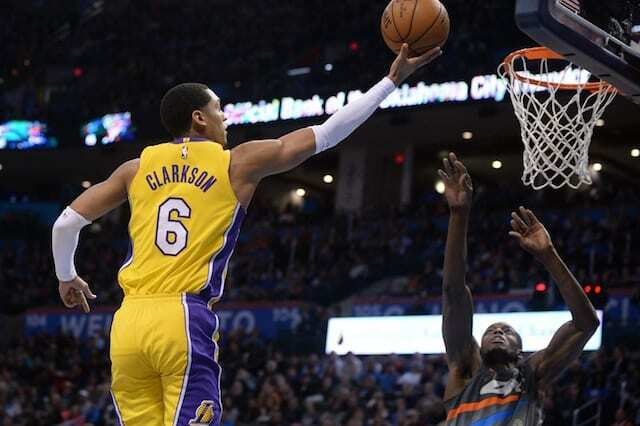 The win was the Lakers’ fourth straight in a streak that would ultimately stretch to nine before they finally suffered a loss. Magic Johnson also had a great night with 18 points and 19 assists, James Worthy had a double-double with 16 points and 10 rebounds, and Mike McGee was huge off the bench with 18 points. But this was all about The Cap. What truly makes this performance stand out is that Kareem was in his 16th NBA season. Most players don’t have careers that span that long, let alone are still productive. But here was Kareem, still leading the Lakers in scoring at 22 points per game. He would even go on to win NBA Finals MVP this season, becoming the oldest player to do so. The opposition also plays a role on this day as the Rockets had two seven-footers in Hakeem Olajuwon and Ralph Sampson. Olajuwon was a rookie and Sampson was in his second season, both were amazing athletes and neither could contain the old timer. In fairness, they did each have great games on their end as Sampson finished with 33 points and 15 rebounds while Olajuwon had 30 and 13. But neither was on the level as Kareem was on this day in Lakers history.